Use the sample practice charts, tables and diagrams below to practise and develop your IELTS writing task 1. Some charts below have links to model answers. Charts not created by myself have the known source stated when possible. The bar chart below shows the percentage of people who ate five portions of fruit and vegetables per day in the UK from 2001 to 2008. 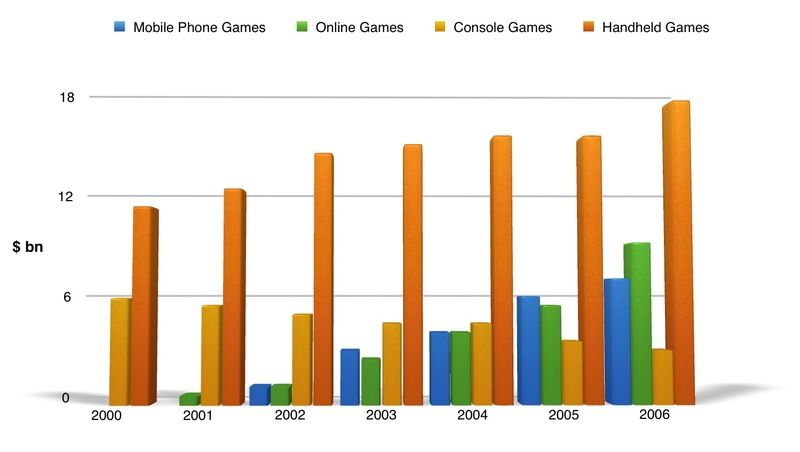 The chart below shows the global sales of different kinds of digital games from 2000 to 2006. Source: Chart not by IELTS Liz. Source unknown. 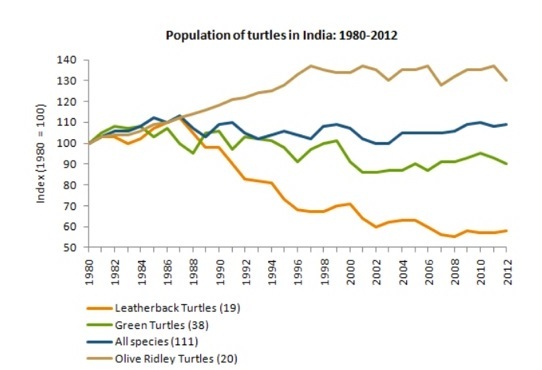 The graph below shows the population figures for different type of turtles in India from 1980 to 2012. Source: Graph not designed by IELTS Liz. Source unknown. 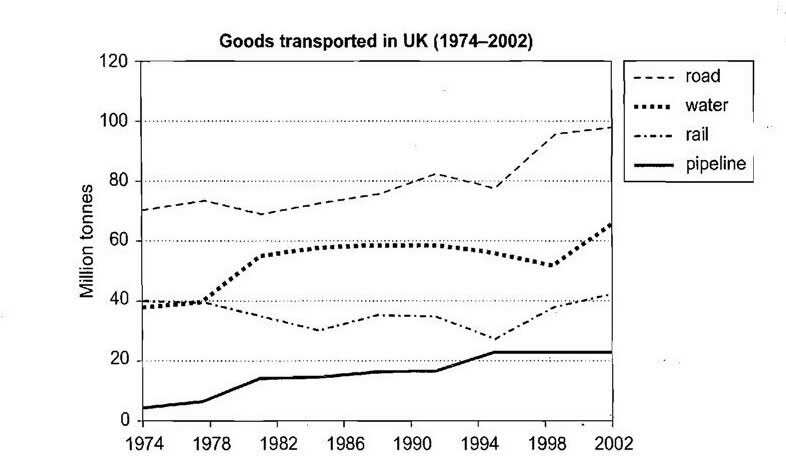 The graph below shows the amount of goods transported in the UK from 1974 to 2002. 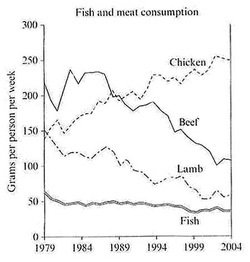 The line graph below shows the consumption of 4 kinds of meat in a European country from 1979 to 2004. 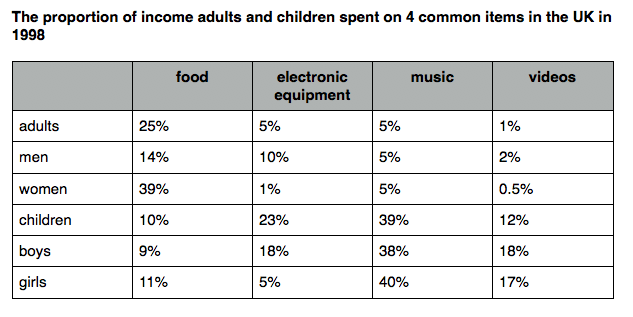 The table below shows the proportion of income spent on 4 common items in the UK in 1998. The table below gives information about the underground railway systems in 6 countries. The table below shows consumer spending on different items in 5 countries in 2002. 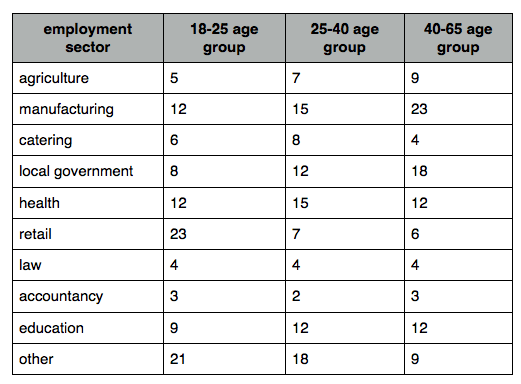 The table below gives information about the employment sectors in which people from 3 age groups worked. 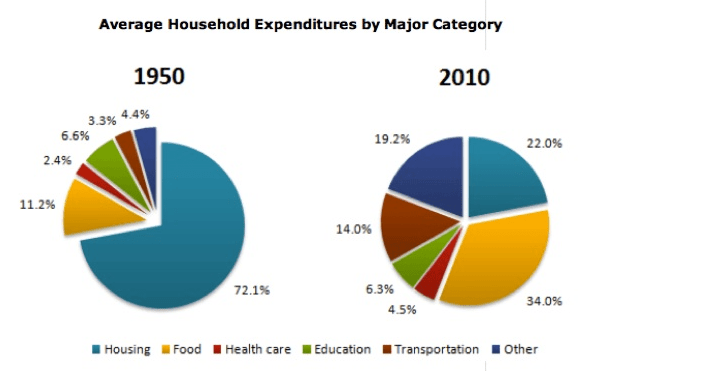 The pie charts below show the average household expenditures in a county in 1950 and 2010. Source: Charts not designed by IELTS Liz. Source unknown. 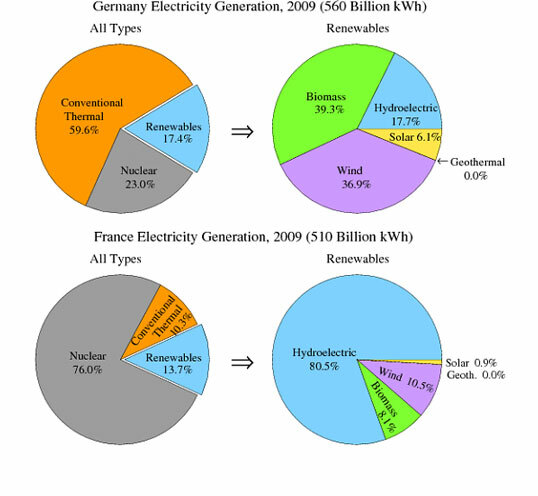 The charts below give information about the electricity generation in two countries in 2009. 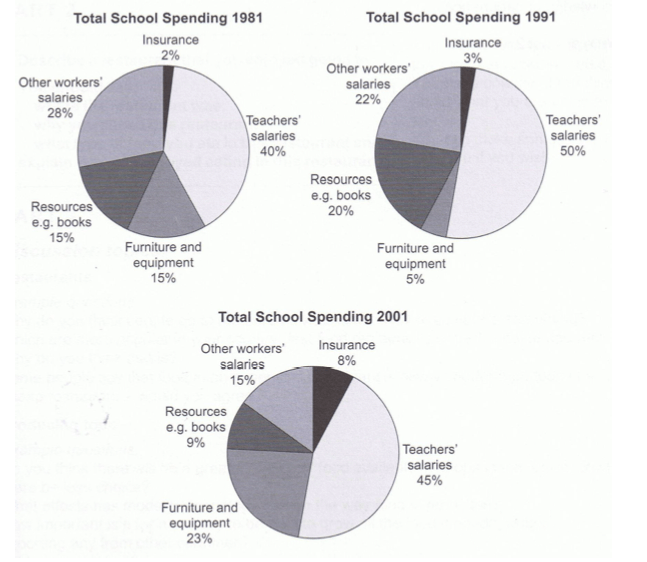 The pie charts below show the spending of a school in the UK from 1981 to 2001. The diagram below shows how rainwater is collected for the use of drinking water in an Australian town. The diagram below shows the water supply in Australia at present and in the future. 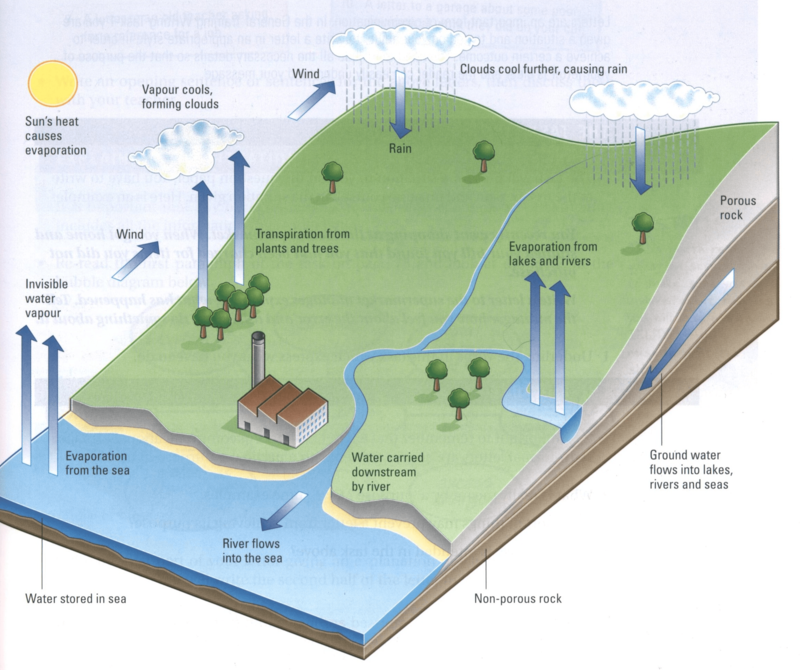 The diagram below shows how the water cycle works. Although this book was published years ago, I still recommend it for practise at home. 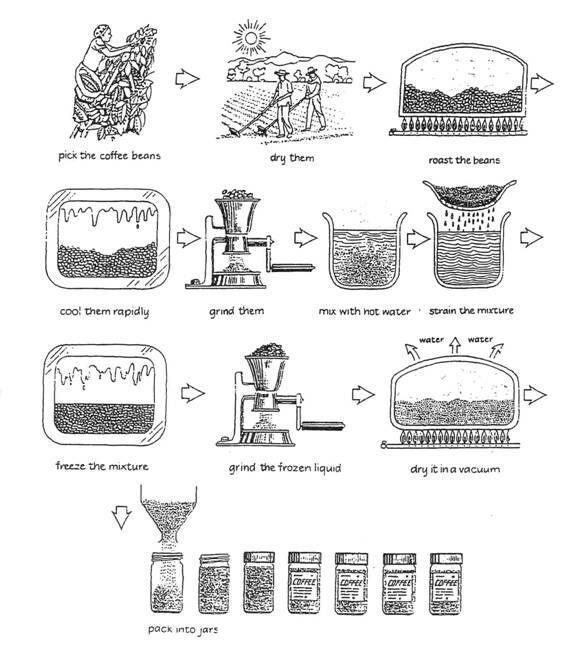 The diagram shows the process of making coffee. Source: Diagram not designed by IELTS Liz. Source unknown. The diagram below shows how coal is used to generate electricity. 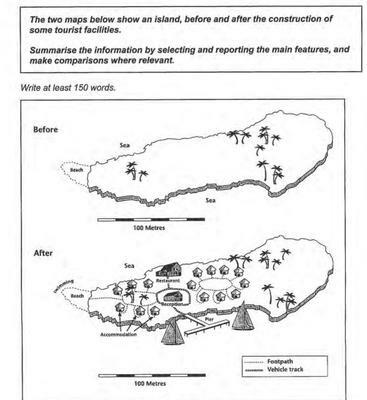 The maps below show an island, before and after the constructions of some tourist facilities. The charts below give information about levels of education in Glasgow, a city in Scotland, in 2010.